Do you think Prime Minister Laurent Lamothe is really on his way out? As it has been the case many times in the past, tomorrow, December 12, will be yet another very important day for Haiti. This is the day when President Michel Martelly will make his final decision known on the various recommendations of the Presidential Consultative Commission. The most important decision he will have to make however will be whether or not he will keep his good friend Laurent Lamothe as Prime Minister. The Presidential Consultative Commission who recommended the resignation of Prime Minister Lamothe also proposed a roadmap to have it done sooner than later. 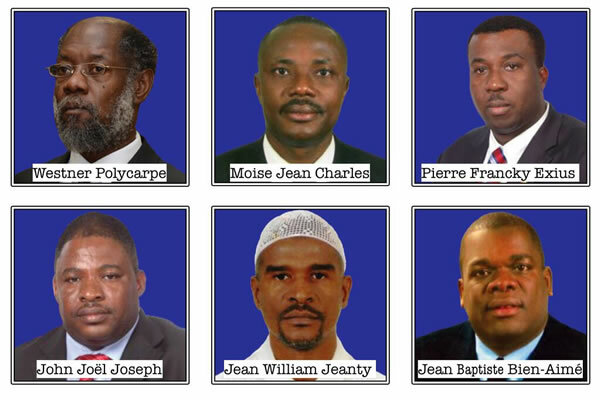 Based on the recommendations, Laurent lamothe would only have 8 days lest before he resigns or by no later than December 17, 2014. Haitian President Martelly spoke to the nation from the National Palace, concerning the Consultative Commission's (CC) recommendations. They called for Martelly to ask Prime Minister Lamothe to tender his resignation. Lamothe was present as well as an Organization of American States delegate, and Canadian and U.S. Ambassadors. Before addressing Lamothe's pending resignation, Martelly expressed his gratitude to his cabinet ministers for aiding in the development of the infrastructure in the education and agriculture sectors. He pointed to his achievement in forming the Provisional Electoral Council, a step toward holding general elections. He also cited the fact Parliament failed to appoint three representatives, according to the El Rancho Agreement. It also failed to do its job to pass the electoral law, so elections could be held. A forced divorce between President Michel Martelly and his Prime Minister Laurent Lamothe seems to be unavoidable. One of the propositions that is included in the report that will be made public tomorrow by Haiti advisory committee created by Michel Martelly is the resignation of the Prime Minister. Although it doesn't guarantee that this action will resolve the crisis between the government and the opposition who have been getting some strength and success in organizing mass protest, at this point the government doesn't have too many options left before January 12, 2014. Will he rule by Decree come January 2015? 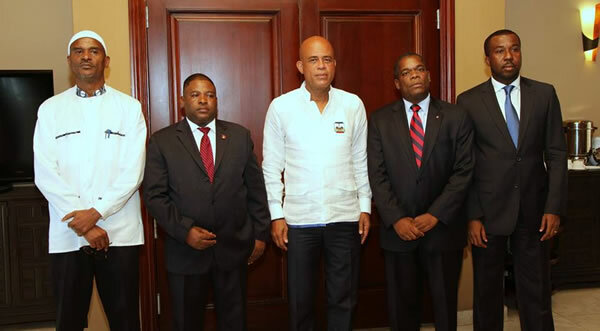 President Michel Martelly, through General Secretary Yves Germain, sent a third invitation to political parties and radical opposition groups to meet and discuss a way to resolve the pre-electoral crisis. Martelly scheduled a meeting with the groups at the Karibe Convention Center and urged them ". . . to extend the new invitation to Fanmi Lavalas." Five opposition party leaders have acknowledged receipt of the latest invitation: Levaillant Jeune of INITE; Jean Victor of MOPOD; Jonas Coffy of Ayisyen pou Ayiti; Rosemond Pradel of Fusion; and Dr. Rudolph Prudent of Kontra Pep La. 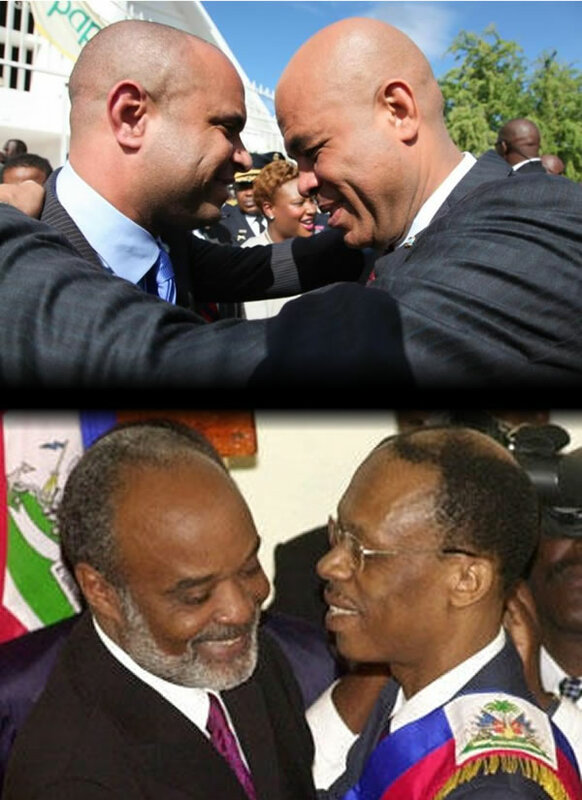 They will need to confer with each other before agreeing to meet Martelly. Will the Anti-Martelly Protests grow to the point of removing his government from office? It's been a hard couple of weeks for the Martelly administration. Long having to suffer the verbal slings and arrows cast against them for the past few years, in the past few weeks, the attacks have become physical in some instances as well, and the recent postponement of the people's right to vote escalated the verbal protests to a deafening pitch. Many are demanding the resignation of the country's leader, and they are not slight in their number. On June 10, 2014, Martelly signed a decree putting the date for elections as October 26, 2014, it was then announced in the middle of August, that that date would be postponed. On October 17, a protest ensued with tens of thousands of participants, calling for their right to elections, but this incident, coupled with others, was given as evidence of the type of political instability Martelly cited as the excuse for the postponement of the scheduled elections when, on October 26, he once again announced it was called off. The six opposition parties who now seem to have the upper hand as January 12, 2015 approaches wants the discussions to go beyond current election. Levaillant Louis Jeune for INITE, Jean André Victor for MOPOD, Jonas Coffy for Ayisyen pou Ayiti, Rosemond Pradel for Fusion, Dr. Rudolph Prudent for Kontra Pèp La, all want everything to be included in the discussion, including the resignation of Presiden Michel Martelly. Haiti's stability has been a hard-won battle, and the country's grip on it remains a tenuous thing. The question on many minds now is how to strengthen that hold. How does Haiti maintain its fragile stability? A 2007 document published by the International Crisis Group explored this while discussing former President Rene Preval's security challenges. The argument was that the stability and security of the country continued to be on shaky ground. While it looked on this weakness, it also took some strengths into consideration before making recommendations to the international community, UN agencies, the Haitian President and Government. No seat is ever safe is politics. This is the lesson that 31-year-old Michael Etienne wishes to teach Congresswomen Frederica Wilson. It would certainly take a very ambitious man to tackle one of the most redoubtable members of South Florida's political sphere, but Etienne, a Haitian-American hailing from North Miami perhaps has the pedigree to accomplish it. A North Miami city clerk since his election to the post in 2011, Etienne ran for Florida House the year before, but was unsuccessful. Also having worked as legislative aide to State Representative Daphne Cambell, he is an attorney and the host for a Haitian and Caribbean culture internet show call I-Vision TV. 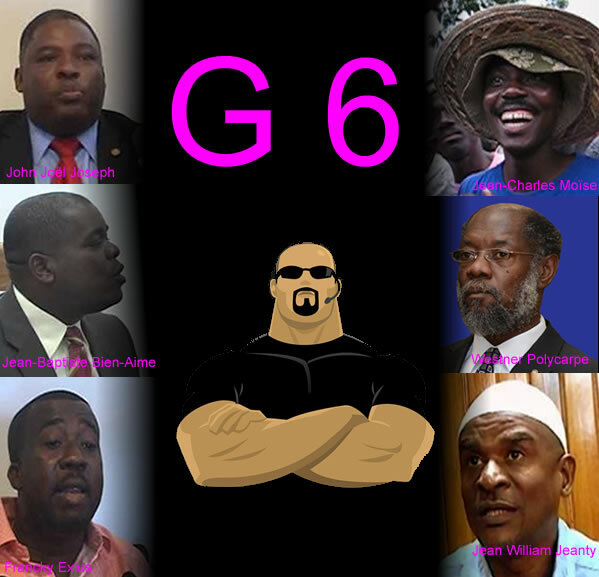 For the 3rd time, the opposition senators or specifically the member of G6 were not present at the meeting with the Haitian President, Michel Martelly. President Michel Martelly has gone has gone an extra mile and has demonstrated flexibility. This time, he left the responsibility to schedule meeting with the group of 6 to Senator Desras. The President would like to have it on October 3, not in the National palace but rather in a place that would be determined between them. One thing I was told a long time ago and still believe in is that: No one has the monopoly on the true.